SIZING: The silicone portions of all Swift FX Headgear Assemblies are the same size; however the Swift FX For Her Headgear includes additional notches at the back to accomodate smaller head sizes. The Blue Swift FX Back Strap is larger than the Pink Swift FX For Her Back Strap. 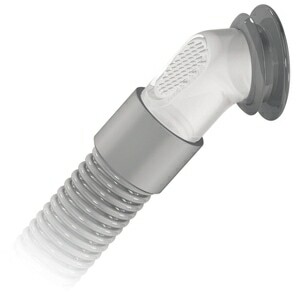 COLOR: Blue headgear, with gray Soft Strap Wraps, comes standard with all Swift FX Nasal Pillow Masks. 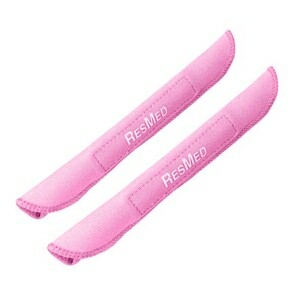 Pink headgear, with pink Soft Strap Wraps, comes standard with all Swift FX For Her Nasal Pillow Masks. COMPATIBILITY: Swift FX Headgear Assemblies are interchangeable, so either headgear color can be used with any Swift FX or Swift FX For Her Nasal Pillows Mask. 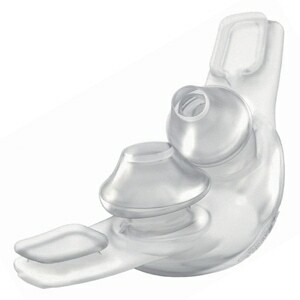 Swift FX Headgear can also be used as an alternative to Bella Loops on all Swift FX Bella Series Nasal Pillow Masks. NOTE: While the fittings are compatible, Swift FX Headgear Assemblies are NOT recommended for use with Swift FX Nano Masks. This is due to subtle differences in the mask design required to position nasal pillows properly against the face. Good product. I've been using this type of headgear for 2 years. It is one of the most comfortable. Standard price...good service. Mask is great other than the Velcro strap that wears out and stops holding. would be better if they would sell this part separately. 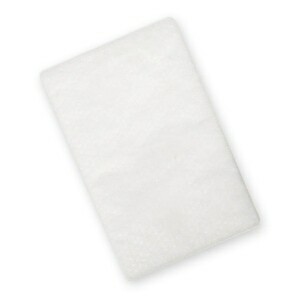 I switch to the Swift nasal pillow over seven years ago -- best move ever! The larger masks always made it feel like spiders were crawling on my face, due to the excess humidity... you don't get that sensation with the pillow and simpler headgear. Much more comfortable to sleep too! 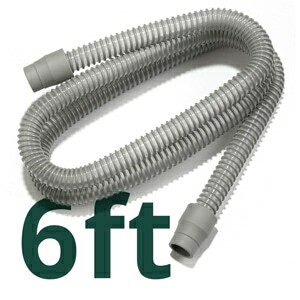 I love purchasing through Direct Home medical because i nearly always receive my order within a day or two, and if you use CPAP equipment, you know that the quicker you can replacement parts the better. The fewer night's sleep lost the better! This Headgear Assembly is great. The only thing that I think could be improved is the Velcro loses grip after repeated adjustments over a period of a year. I just received my replacement headgear recently and it is holding very well so far. It was time to replace it anyway because it was just getting old and dirty. I recommend this product whether they improve the Velcro or not. Nice and light, and with the cloth covers over the face straps, it becomes even more comfortable.